At Iguana Art and Design we can custom make any fireplace mantel for any wall or room. Our prices are reasonable and we ship anywhere in the U.S.
My grandfather was a carpenter, so was my father. When I was six years old, on summer days I would sometimes tag along with dad for the day and work at the family cabinet shop. “Work” at first was actually making paths with the push broom through the sawdust that always blanketed the floor and eating lunch outside under a fruit tree in the orchard next to the shop. I’m sure my “work” was more like being in the way, but dad was very patient with me and little by little taught me everything that he knew about woodworking. I was able to work with my father for many years… not a statement that everyone is able to make. I feel in love with the whole experience. The smell of fresh cut wood, the sound of the saws, being your own boss, and creating all day – every day. It just seemed to fit me perfectly. In fact I loved it so much that by the time I turned 15 I knew exactly what I wanted to do for the rest of my life and I’ve not looked back since. I’m very grateful for all of it! 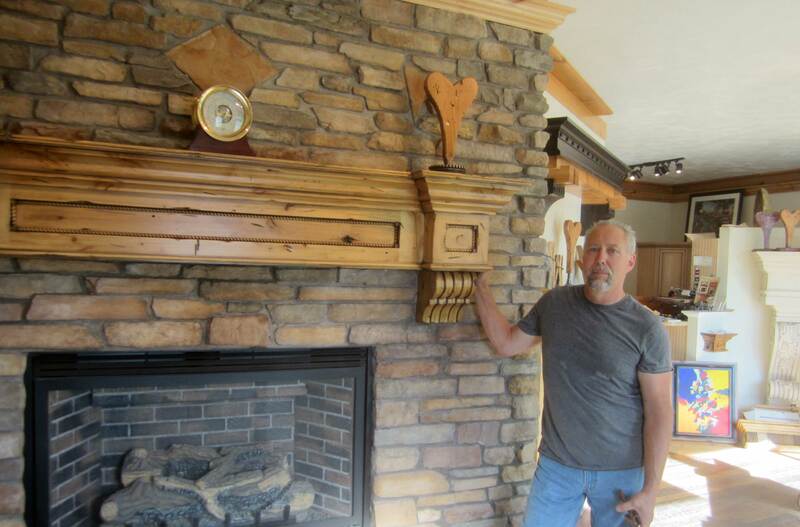 Dad and I were talking one day a few years before his passing, and we decided that over the years we had built close to 10,000 fireplace mantels and shelves. I’ve lost count since then because now, thanks to the internet, we ship our mantels and shelves all across America and the world.